According to the founder and Principal of the school, the native of Makhachkala Abakar Abakarov, he is not a member of Hizb ut-Tahrir. Moreover, the principal has strongly denied the involvement of the mentioned Galimovs and Farrakhovs in school activities. “There are no such people among our employees, we do not know anything about them,” Abakarov said. He noted that a few days before the article appeared, he received a call from a Russian number. An unknown woman was interested in whether the address stated on the school website is the address, at which the school is located. “They say in the article that they went to the address, but the navigator led to the neighboring settlement, to Chernomorets, where there was the same address, many people were confused, and thus came here (the same address but in Odessa – author),” said Abakarov. According to him, there was a Russian FSB symbol on the caller’s number in WhatsUp. She spoke with a Moscow accent. “I have lived in Moscow for thirteen years and I am able to distinguish the pronunciation of Caucasians or residents of the Volga Region,” said the Principal of the school. The article states that it is impossible to get to the territory of the educational institution, the intercom allegedly stays silent and the phone does not answer. Probably, the author of the article simply was not interested in conversation with teachers and students, because it was not aimed at a fair story about the school. Since then, the Muslim population of the city has grown rapidly, primarily due to visitors from Afghanistan, the Middle East, the Caucasus, and the Volga Region. Nowadays, there are ten mosques in Odessa; all of them are crowded with religious followers on Fridays. At the same time, the positions of pro-Russian elements are strong here. In May 2014, a real battle between supporters of Ukrainian independence and fans of the “Odessa People’s Republic” invented by Russian Special Services broke out in the center of the largest Ukrainian port. The existing mayor of Odessa, Trukhanov, had been convicted of dual citizenship of Ukraine and the Russian Federation, which is prohibited by Ukrainian law; however, later he officially refused the Russian passport. In Odessa, there are often attacks on activists of the Ukrainian patriotic organizations, which the police are not able to investigate. Nevertheless, the traditional Odessa’s tolerance to representatives of various peoples and confessions is attractive for refugees from Russia. Almost all are refused by the migration service for asylum applications. However, Hizb ut-Tahrir members are more successful than others in appealing refusals to courts. This is mentioned in the article on the strana.ua website known as the most pro-Russian Internet-media of Ukraine. Abakar Abakarov emphasizes that the school he heads is created for all Muslims, regardless of belonging to a particular trend in Islam. The aim is to prepare well-educated young people with religious knowledge who are ready to continue their education at the best universities in the world. “We deliberately removed all the points that cause disputes among Muslims from the educational program,” he said. 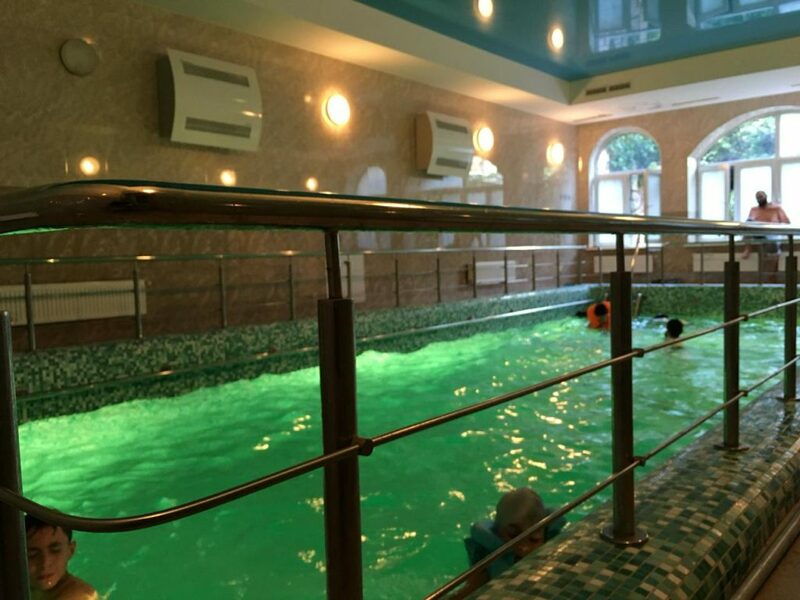 For two incomplete years of work, the school managed to gain recognition among Muslims of Odessa, the South of Ukraine. 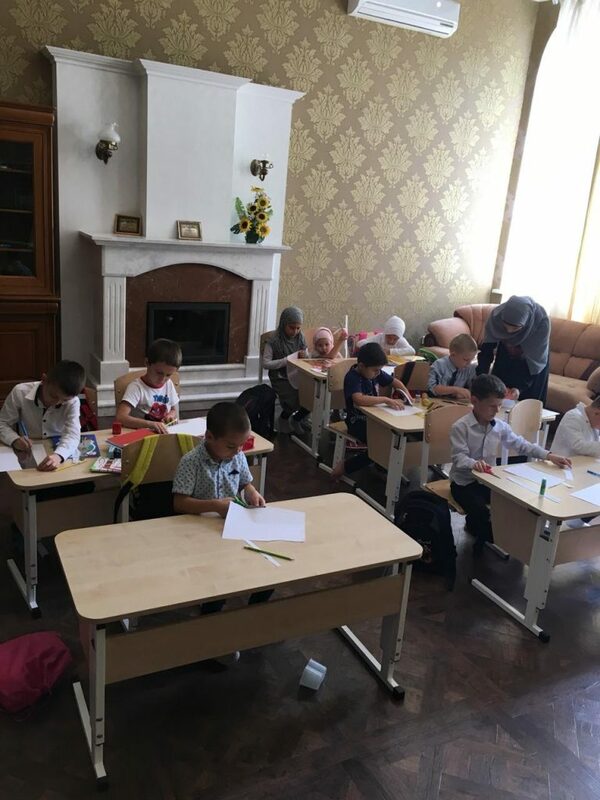 Muslims of Russia are willing to send their children here: education is separate for boys and girls; they receive three Halal meals a day and study religious disciplines together with secular ones. The program includes Ukrainian, Russian, Arabic, Crimean Tatar, and Caucasian languages, political science, and natural sciences. In Ukraine, the school is famous not only for its high level of teaching and unique disciplines, such as “dental science,” but also for the success of its athletes. The Brazilian jiu-jitsu team is one of the most authoritative in the country. 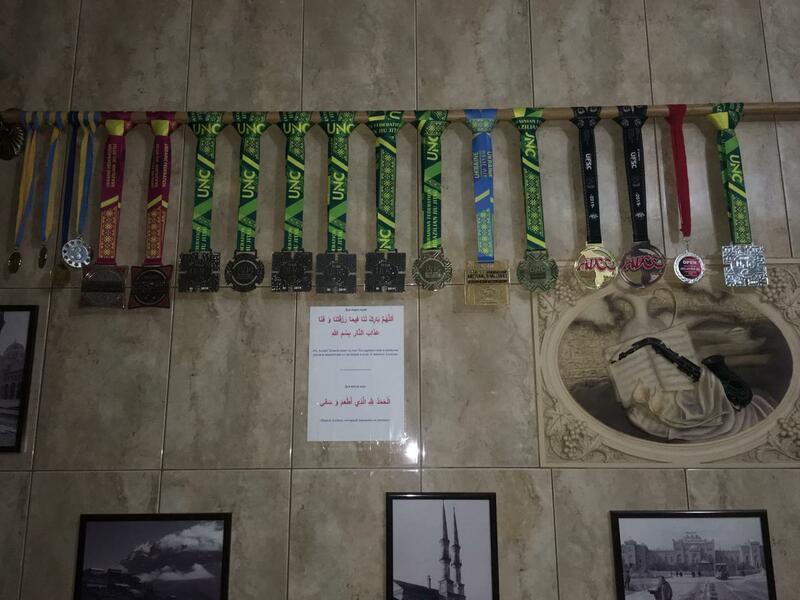 Students of the coach Ali Charinsky gain medals in all competitions at the national level. The candidate of economic sciences Abakarov seeks to gather the best specialists in their fields. There are several candidates of sciences among teachers, foreign languages are taught by native speakers. He himself graduated from the Lomonosov Moscow State University. In 2001, he created the Charity Foundation “Education” in Dagestan and at his own expense conducted academic olympiads every six months. He sent the best students to the all-Russian olympiads in Moscow, about thirty young Dagestanis supported by him were enrolled in the capital universities, and twelve students became candidates of sciences. “I had a great desire to open a school in Dagestan, but in Russia, it is simply impossible,” says Abakarov. Two years ago, his Foundation was closed by a court decision, as well as his business projects. “It happened after I was engaged in active political activity,” he added. In Odessa, Abakar Abakarov was able to implement his dream; he opened a school. However, as soon as his creation gain respect and fame among parents, teachers, it began to be branded as a refuge of extremists. American and Russian researcher Denis Sokolov said commenting on the article about the Muslim school in Odessa: its publication could be initiated by official Muslim structures in Russia. “Any activity of Russian Muslims outside Russia is of great concern among muftiates, which, in turn, are an optical sight for the security services,” he said. 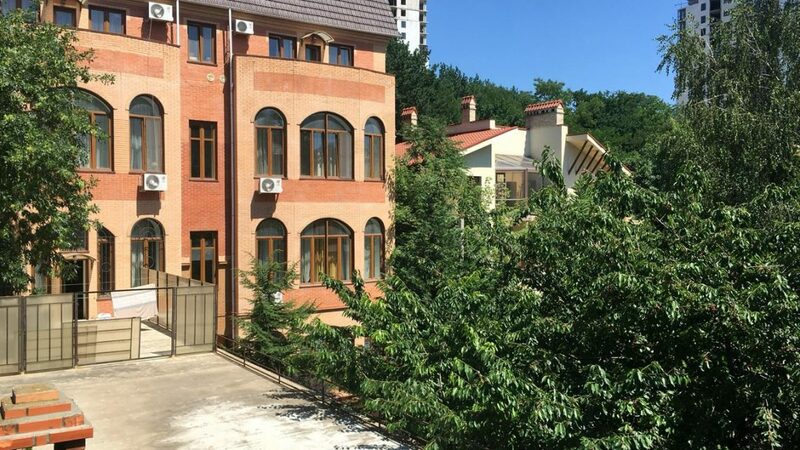 The day after the article about Hajibey International School in Odessa appeared in the Ukrainian Internet newspaper, it was actively quoted by the Russian network media.